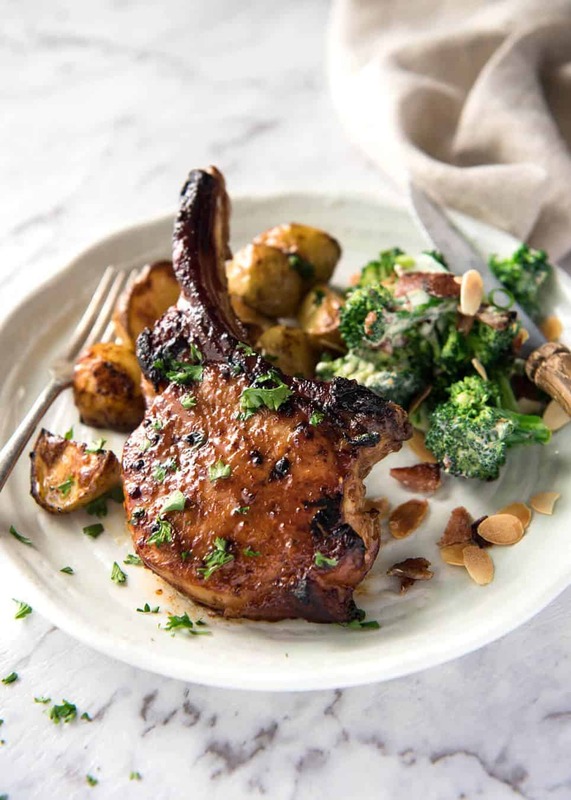 Made with ingredients you may already have in your pantry, these pork chops are slathered in a country-style sauce then baked until sticky and golden. Add potatoes or any other vegetable that will bake in around the same time! Preheat oven to 430F (standard oven). Slather the pork on both sides with the Rub, leaving some Rub for later. Take the potato tray out of the oven. Place pork on the tray. Bake for 10 minutes. Remove tray from oven, spoon over left over rub on the surface then bake for another 10 minutes. Take tray out of the oven, switch to grill/broiler on high. Use a brush to get the golden juices off the tray (especially around pork) and dab it back onto the pork - this is key for flavour and colour! Pop pork under grill/broiler for a few minutes until pork is caramelised and golden. Serve, scraping the juices on the tray onto the pork. Serve with whatever side is available - rice or salad would work perfectly.